Passover is the oldest and most important religious festival in Judaism, commemorating God’s deliverance of the Hebrews from slavery in Egypt and his creation of the Israelite people. At the center of this festival is the Passover Seder meal, through which the story of God’s relationship with his people is told. It is really more than a festival. It is an elaborate teaching experience, especially for the children, intended to call people to their identity as the People of God. 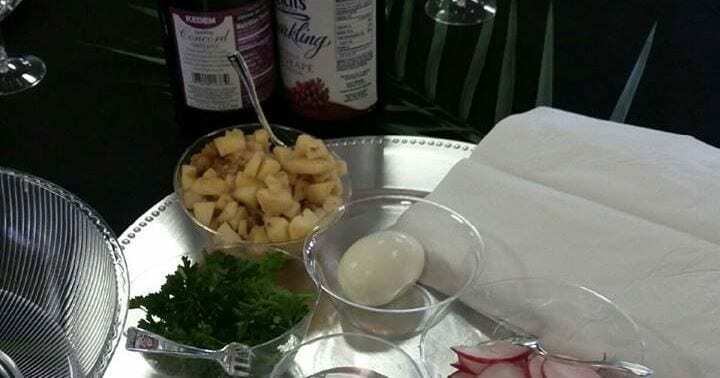 By using all of the senses, the Passover Seder tells the story of God’s grace in history and calls the participants to experience and share in the story as their own story. Passover becomes more than simply a service or a time; it becomes a way to confess faith in the One who has acted in history. There has been increasing interest among Christians in this ancient festival for various reasons. One reason is that there has been an increasing sensitivity to cultural and societal problems, and a corresponding desire to learn about others. There has also been a renewed awareness of the importance of the Old Testament Scriptures as Christian Scripture, and a desire in our modern world to recover a sense of the sacred through liturgy and historical traditions. It also provides a cultural context for Christianity’s Jesus, who was Jewish and whose last meal was during Passover. This year, Lakeway United Methodist Church is pleased to host a community Passover Seder, on Sunday evening, March 25, 2018, from 5:00 p.m. to 7:00 p.m. The Seder will be followed by a simple meal of stew and unleavened bread. There is no cost, but we ask that you call our church office and let us know that you are coming. We hope that you will join us as we gather to remember this piece of our sacred story.